Do not visit this museum… until the end of your trip. 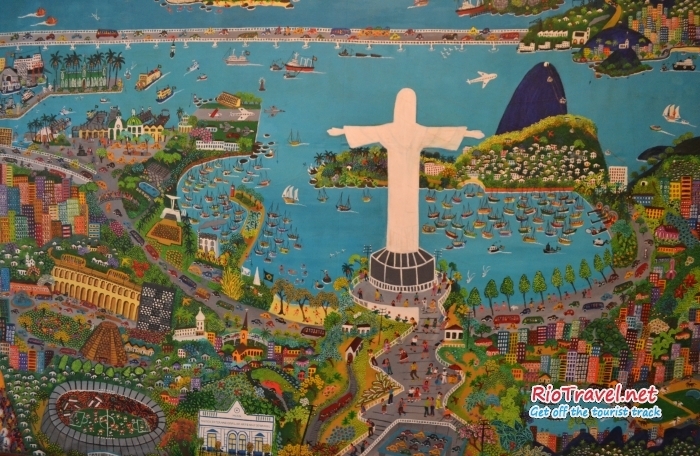 Visit it just before you leave Rio. 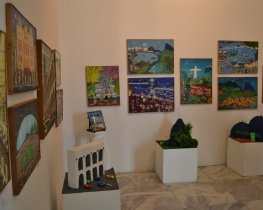 This way you will experience the joy of recognition of the places of Rio de Janeiro and understand how the paintings capture the spirit of the locations. 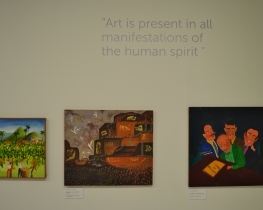 The museum exhibits paintings in a naive style. 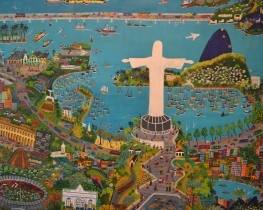 They are very childlike, simplistic and playful, mirroring perfectly the Carioca lifestyle. If you asked me to describe the people from Rio, I would take you to this museum. 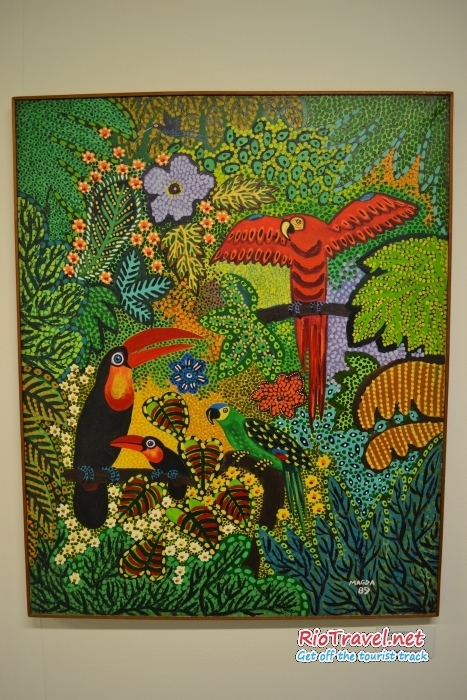 Museu Internacional de Arte Naïf (MIAN) is the largest naïve art museum in Brazil, presenting works of both Brazilian and international artists. Naïve style can be described as simple, natural, spontaneous or even childlike and primitive. 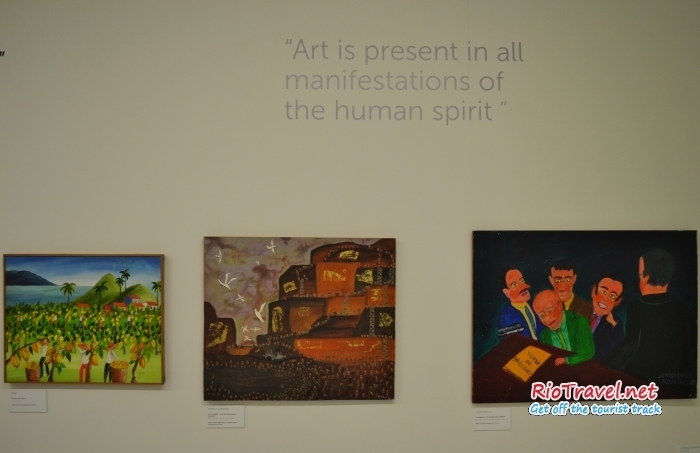 Most of the artists are self-taught painters who did not receive any formal education in arts. 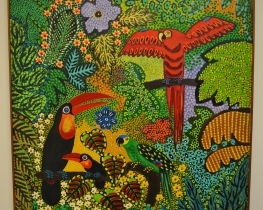 50% discount from entrance price if you have Corcovado train ticket. If the waiting line for the train is long, you can try MIAN first, it's just 50 meters from Corcovado train station. Leaving the museum, don't forget to check out its backyard to grab a drink or a snack at “Da Cozinha Cafe” organic bistro. 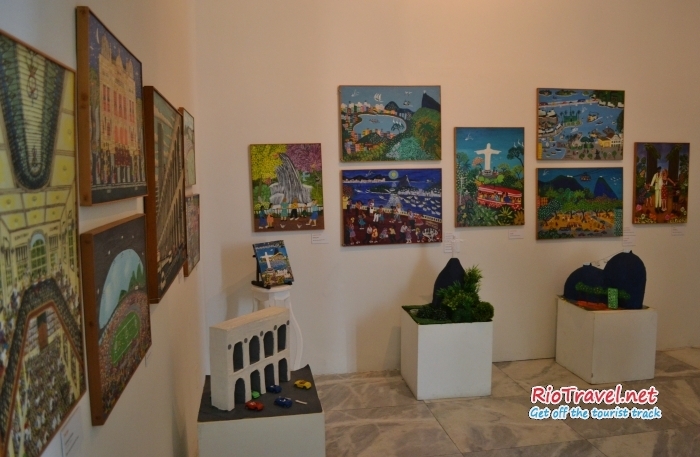 Go to MIAN after seeing most of the attractions, you will appreciate the art more, as the paintings are mostly about the different sights of Rio. 1. Take the bus to Cosme Velho (buses that have Cosme Velho written as destination). 2. Get off the bus at Cosme Velho (ask the driver to let you know). All the gringos will get off at that station, as the train to Christ statue goes from there. 3. Walk up the road and in about 50 meters the museum is to your left.